Generally, Valentine's Day in the United States has been focused on Romantic Love. 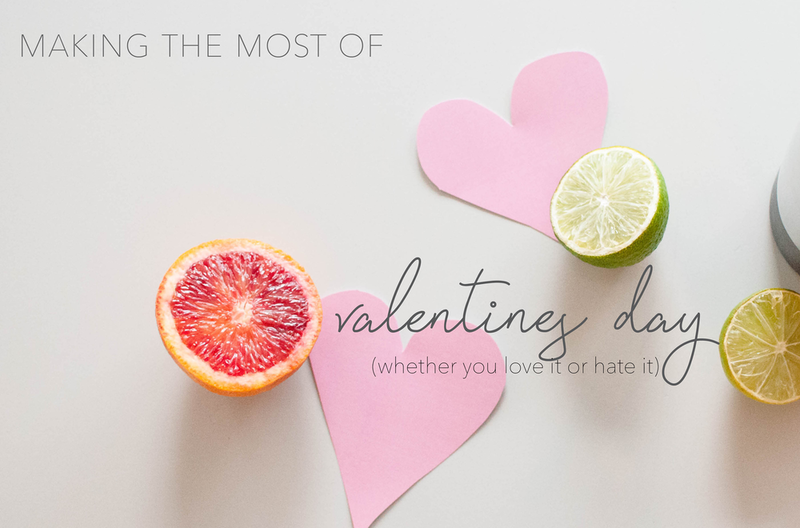 Over the last few years or so, however, there has been a growing movement to celebrate Valentine's Day differently, or based on how an individual wants to celebrate it. There's now Galentines, Anti-Valentines, Single Awareness Day, Me-Day etc. etc. But what if we could all find a way to embrace Valentine's Day for all that it is? What if Valentine's Day was focused on all of these things and more: romantic love, friendship, family love, love for food, love for margaritas 😉, love for a country, love for animals, love for life. Although literally translated to El Día de San Valentin, the holiday is generally referred to as El Día del Amor y la Amistad, meaning the Day of Love and Friendship. Although Valentine's Day did not originate in Mexico, the holiday is greatly observed. During the month of February, one can find towns decorated with hearts, balloons, and more. The day is spent celebrating both couples and companionship. Family members and close friends swap gifts and cards expressing their love and gratitude for each other. Couples often exchange flowers, cards, chocolates, and share romantic dinners like in the US. El Día del Amor y la Amistad emphasizes the importance and need for appreciation of all types of relationships in our lives. 1. Take the time to reach out to your loved ones. When was the last time you thought " I really need to reach out to so-and-so and tell them I've been thinking of them." ? Or the last time you forgot to return that call from your college roommate? Let the people in your life know you love them and care about them this year. We should do it everyday, but we forget,get too busy, and let life get in the way. Take this Valentine's Day to express your appreciation for the people you love the most. When you take the time to reach out to these people, you might just realize how much you are loved in return (single or not). A simple call can make all the difference. Extra kudos to those of you who send a card, or flowers with a nice note. 2. Celebrate like a kid. Remember the excitement about your Valentine's Day party in Elementary School? Writing out all the Valentine's Day cards for your classmates, making your "card box", and sharing candy hearts were a big part of that. What if we did this as adults? You might be thinking, "Huh, what would that look like?" Well.. I'm glad you asked. Why don't you bake some heart-shaped cookies and bring them to work with you? Get Crafty with "co-worker cards". Share your sweet tarts with someone at lunch. Honestly, why don't we celebrate Valentine's Day like kids do? When and why did we stop taking the time to tell others they are cool, have a great attitude, or that we like their shoes? At Pure, we don't think you are ever too old to celebrate Valentine's Day this way. Let's make it a thing. You are part of the equation this year. If we are going to celebrate Valentine's Day to appreciate all of the things we love, we most definitely need to celebrate ourselves. You are AWESOME. Celebrate that. Do something for yourself this year. Whether that's something as simple as taking a bubble bath or taking some time to read your favorite book or something a bit more extravagant like getting the massage you know you need, buying that shirt you've been eyeing for a few months, planning a trip (because you deserve it), buying that nice beard oil, or eating an entire piece of Tres Leches cake... love yourself this Valentine's Day. Now get out there and celebrate a very Mexican Valentine's Day!